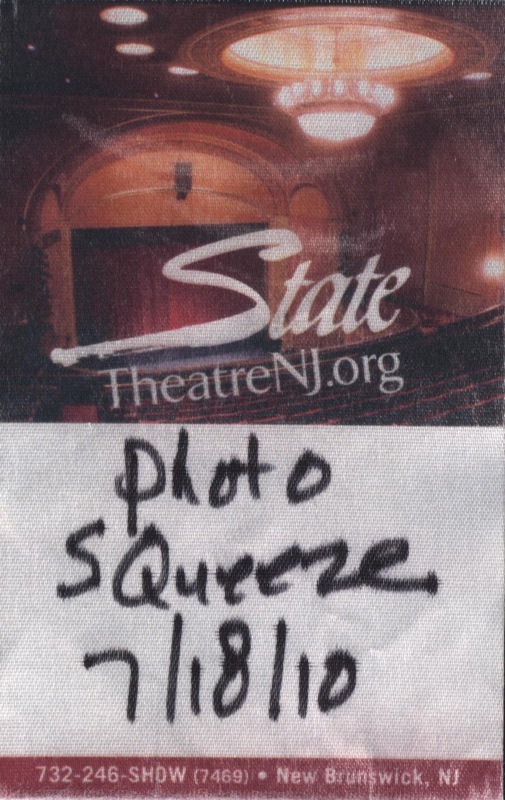 6 Responses to "Squeeze – 18 July 2010 – live at State Theater, New Brunswick, NJ"
They finally did ANOTHER NAIL!!!! Only in New Jersey!! Great concert! 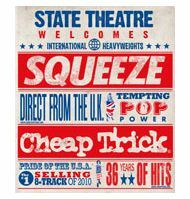 Cheap Trick’s material has aged well, but the band lacks a tunesmith as skilled as Glenn Tilbrook. Perhaps inspired by his tourmates, the Squeeze frontman and guitarist soloed almost as much as Rick Nielsen did. Of course, Tilbrook ran his signal clean into a small tube amp, while Neilsen’s rig was roughly the size of a moon lander. Neither Tilbrook nor writing-partner Chris Difford was the instrumental star, however. That designation goes to bespectacled synthesizer dervish Steven Large, who sometimes threatened to steal the show outright, throwing his body into the glissandos on “Tempted,” karate-chopping his axe on “Slap And Tickle,” and soloing on an iPad piano app. Like most bands with impeccably crafted songs, Squeeze can sometimes succumb to fussiness. The band came out slightly stiff. But midway through the set — right around the time that Difford took his lead on the bouncy “Cool For Cats,” an old song that always seems to grease the combo up — Squeeze slipped a gear, and the engine started purring. The latter half of the show was a flurry of hits, some of which are among the finest single records cut in the late ’70s and early ’80s: “Hourglass,” “Tempted,” “Up The Junction,” “Is That Love?” Tillbrook zipped from song to song, barely pausing to take a breath. It was a wise strategy: Squeeze was on a roll. Tilbrook loves singles, which, as he says on “If I Didn’t Love You,” remind him of kissing. 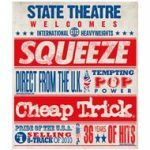 Squeeze’s “Singles 45’s & Under” is one of the best-loved greatest-hits records of its era; that it’s eclipsed “East Side Story,” the band’s masterpiece, is regrettable, but also inevitable. They were never destined to be an album act; Squeeze songs have too much instant appeal. 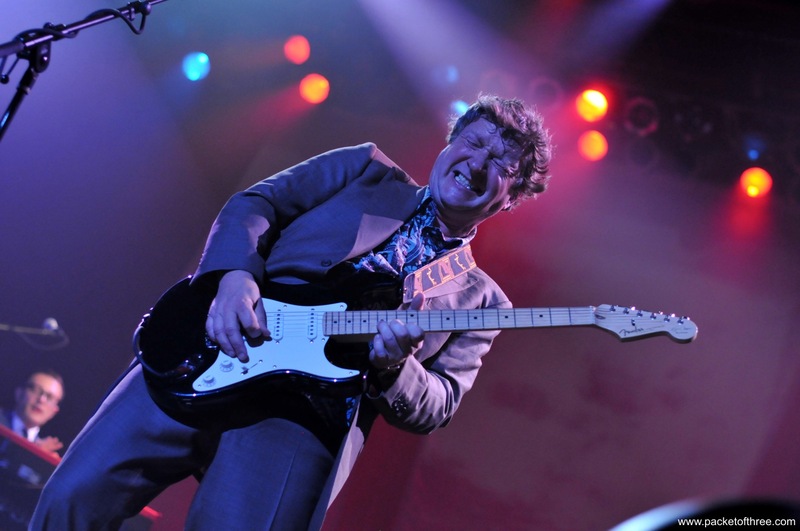 For reasons unclear, their latest set is a series of re-recordings of old hits; Squeeze challenges fans to “Spot The Difference” between the old recordings and the new ones. The set at the State was a greatest hits collection of sorts, too; here, differences were easier to spot. A few: “Black Coffee In Bed”: extended instrumental breakdown; “Goodbye Girl”: more guitar, “Is That Love?”: brisker, “Annie Get Your Gun”: fiercer; “Tempted”: no Paul Carrack. He appears on “Spot The Difference,” of course. Dotting “i”s and crossing “t”s, that’s what they do.